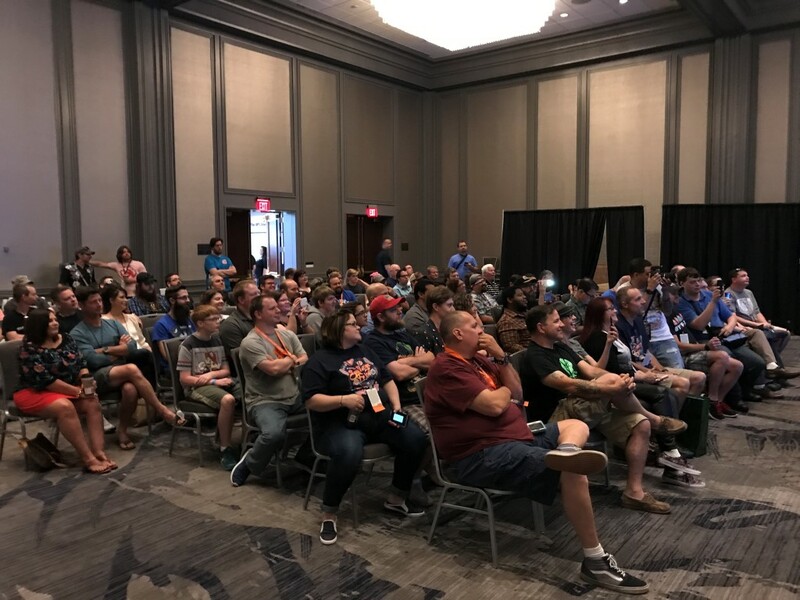 Home » Event » US Reveal Recap! 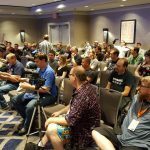 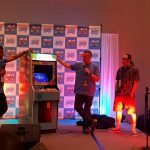 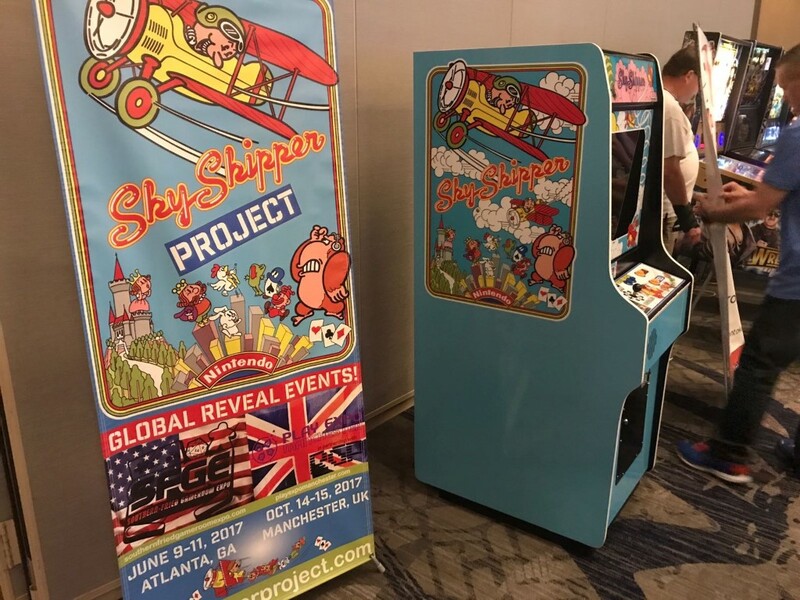 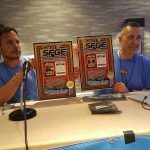 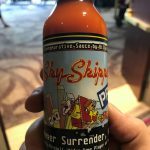 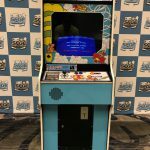 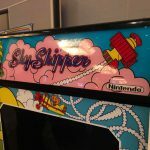 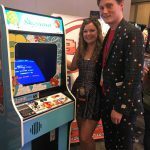 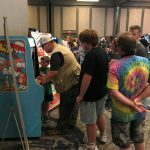 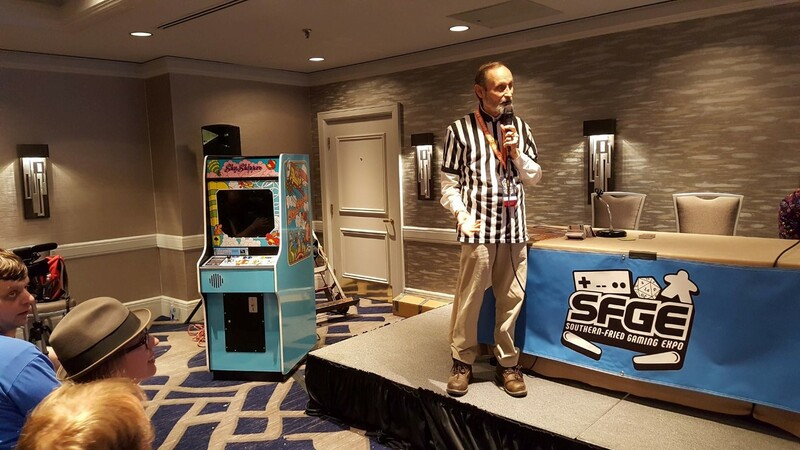 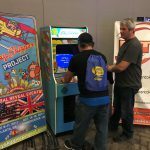 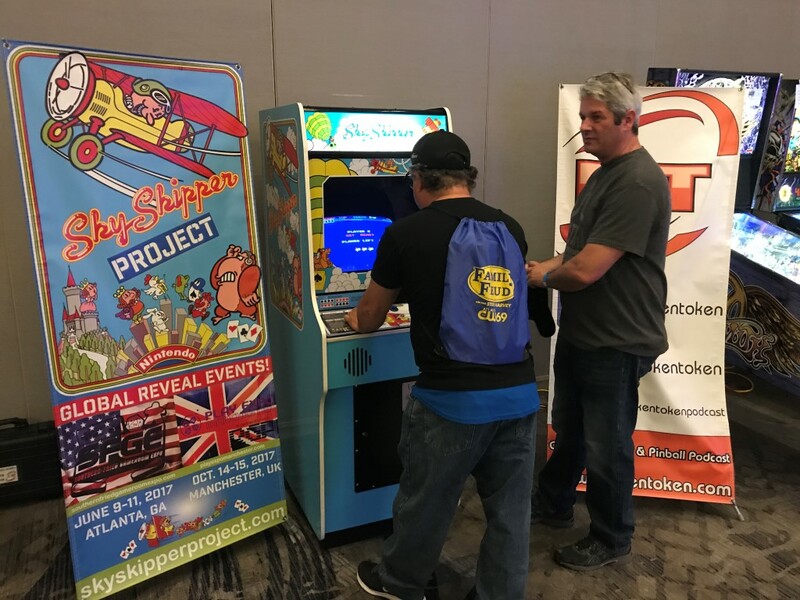 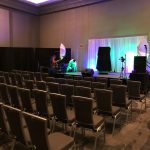 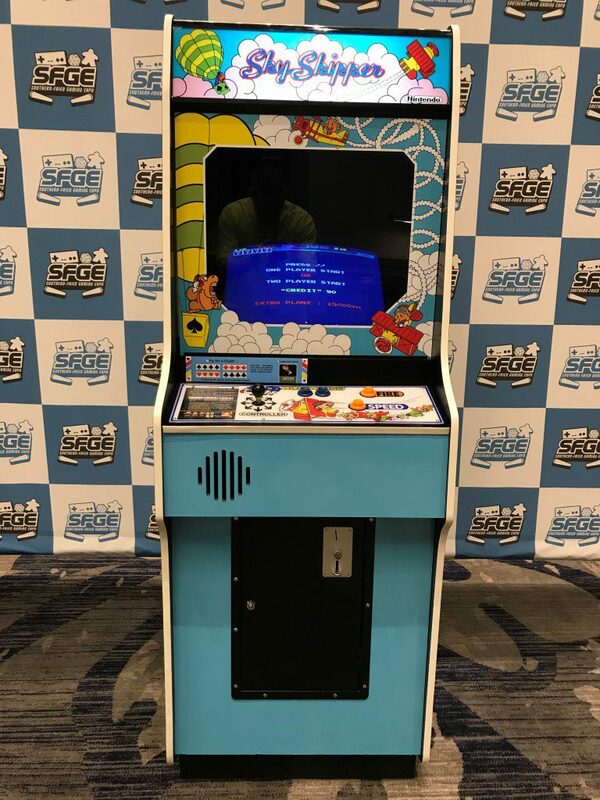 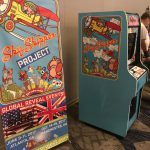 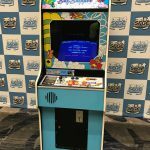 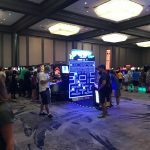 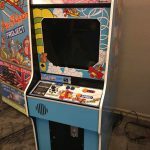 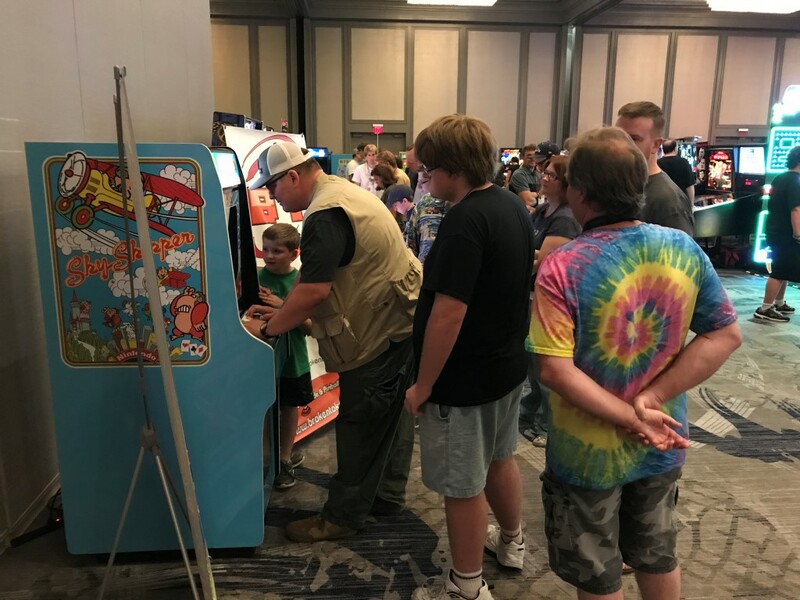 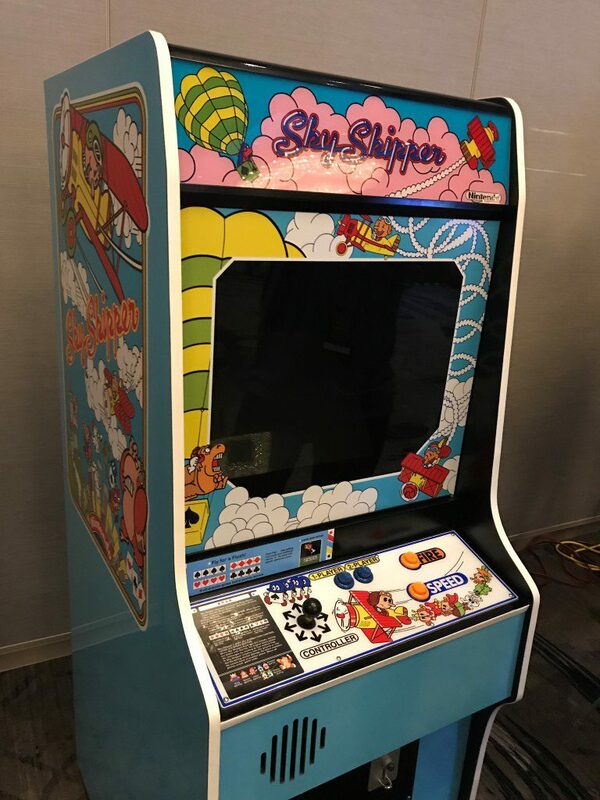 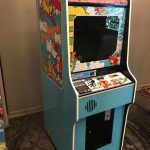 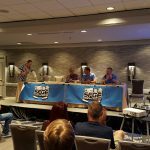 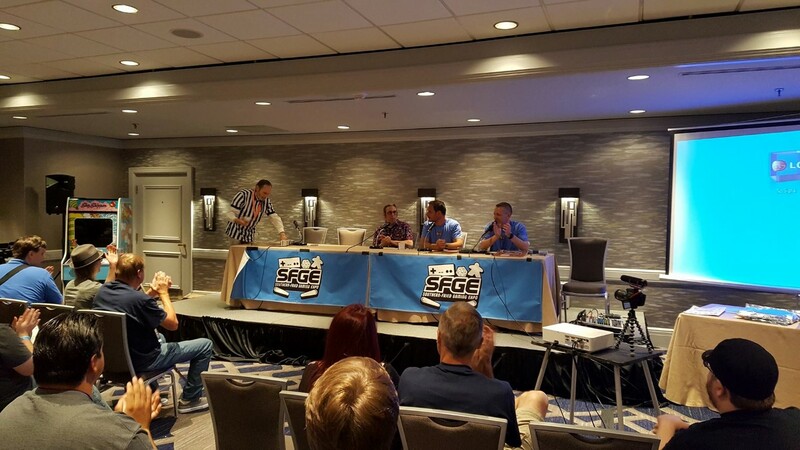 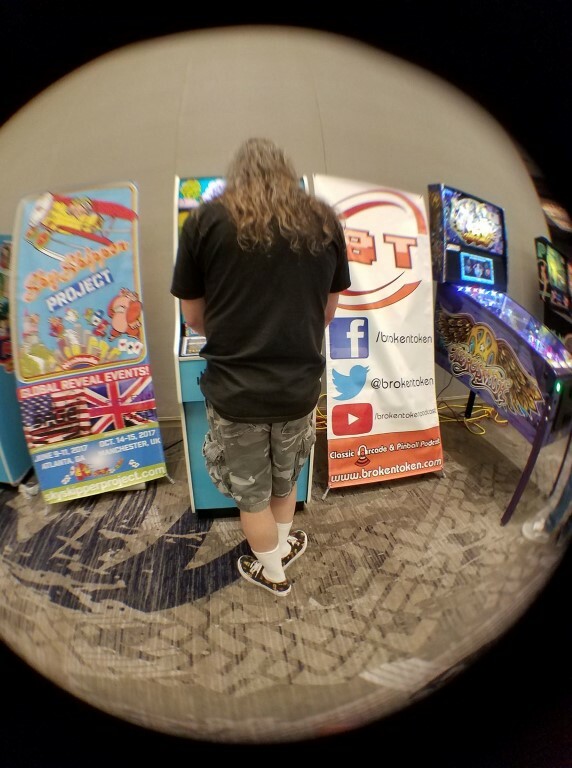 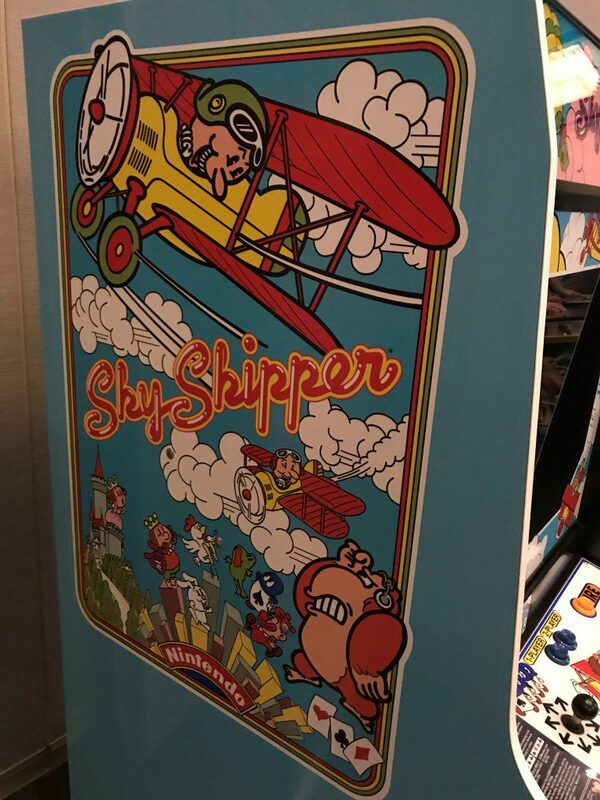 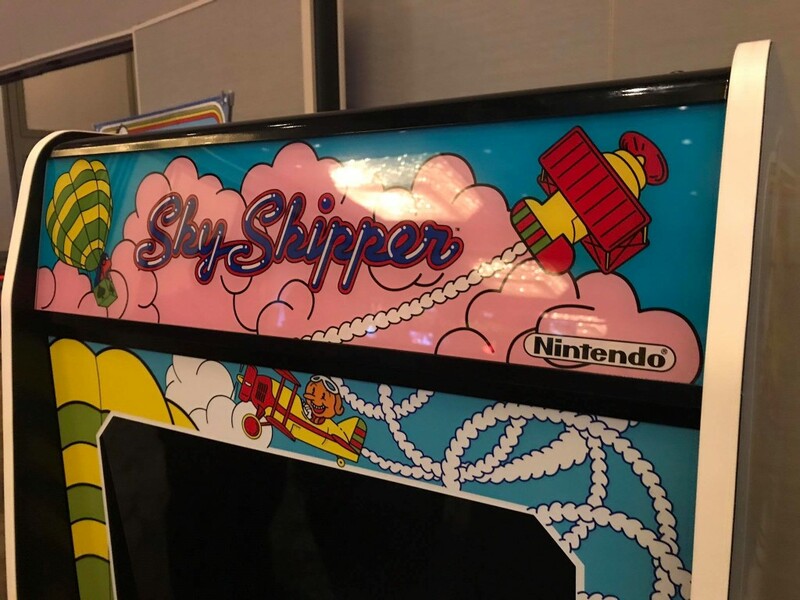 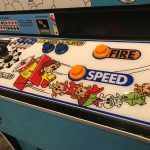 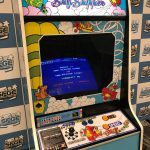 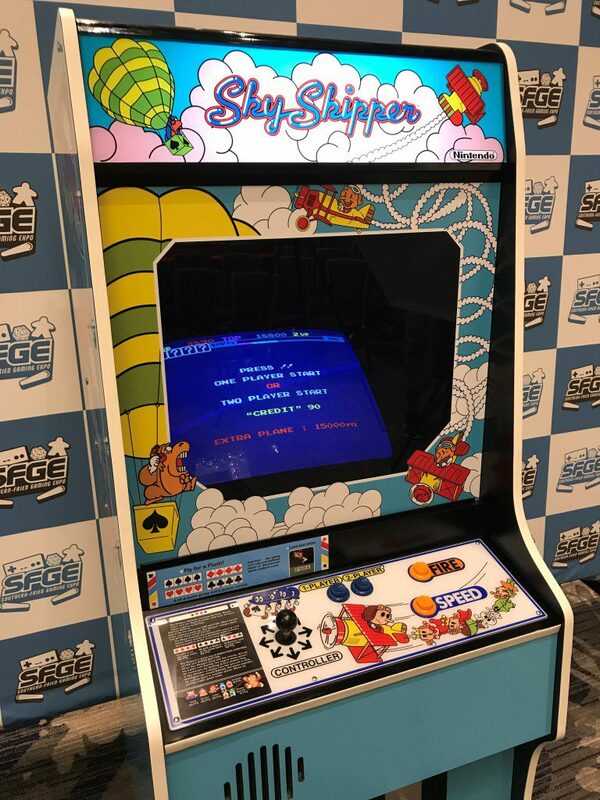 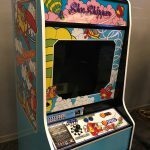 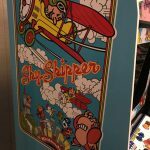 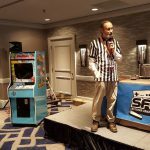 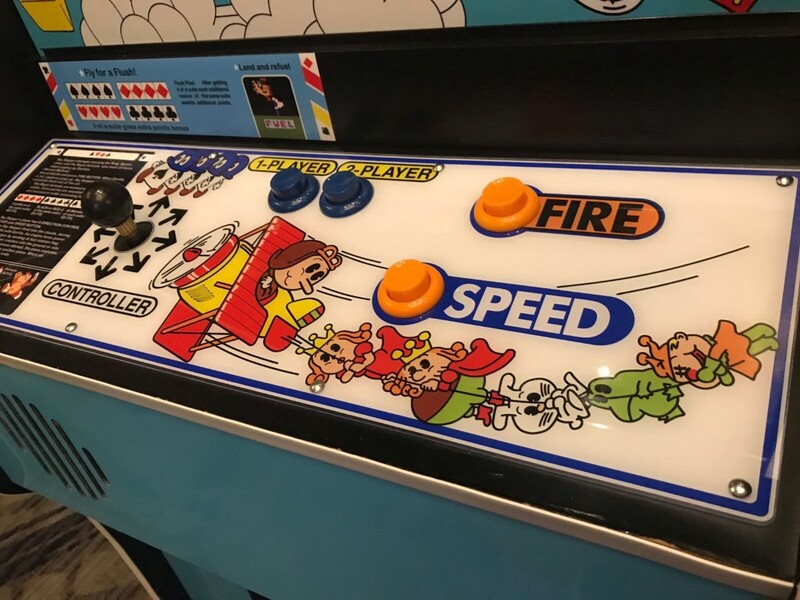 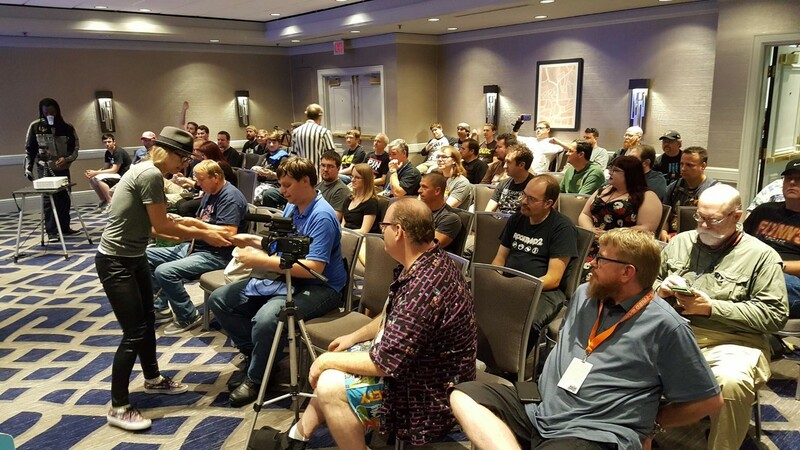 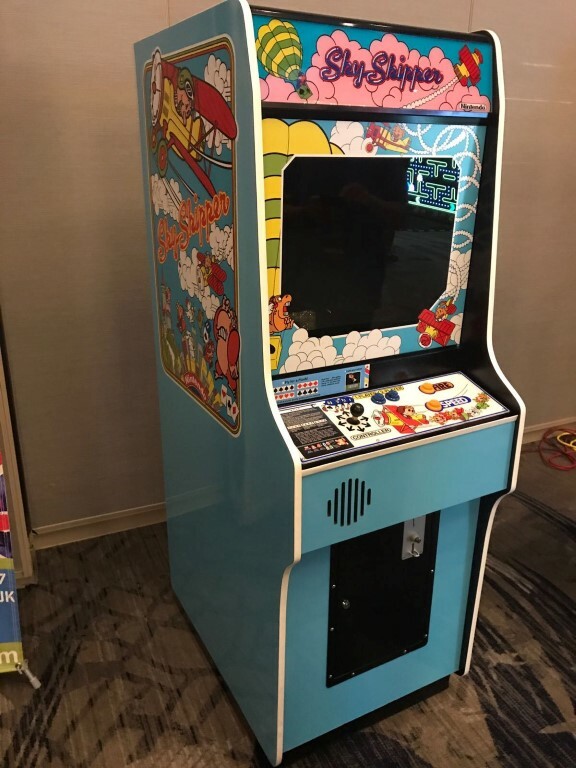 Months and months of preparation, sweat equity and anticipation were put to the public eye on June 10th, 2017 at the Southern-Fried Gameroom Expo – Sky Skipper was shown to the world and the reaction was overwhelming! 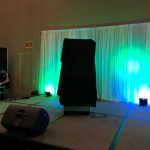 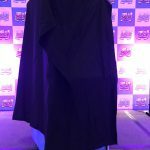 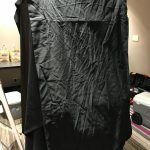 We’ve collected the best pictures and videos of the reveal event we’ve taken (and found so far) and have them all included here in this post. 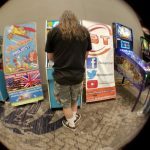 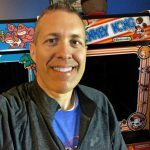 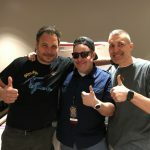 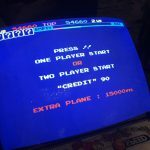 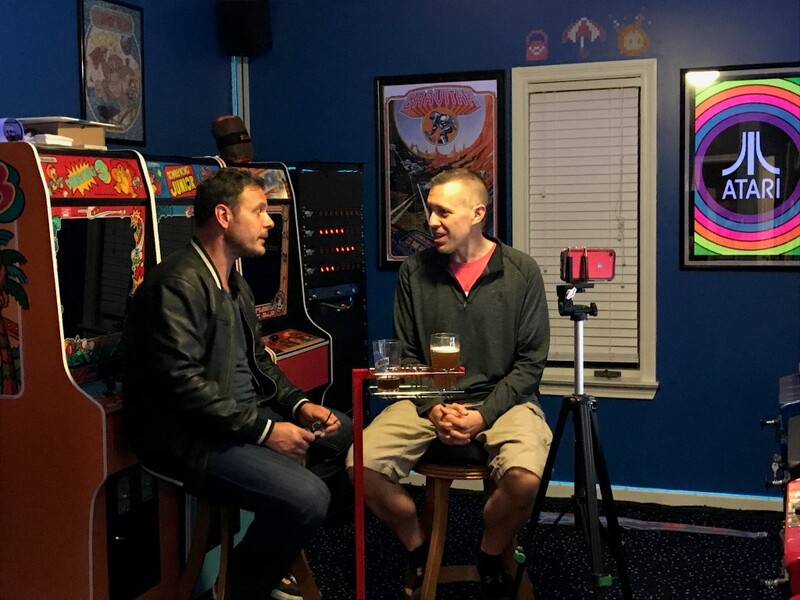 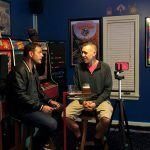 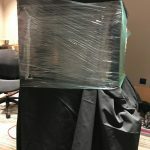 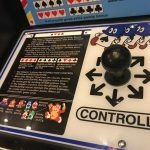 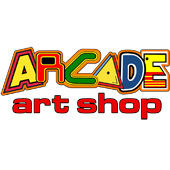 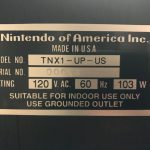 Be sure to look through the photo albums and check out the excellent video released by John over at John’s Arcade, as well! 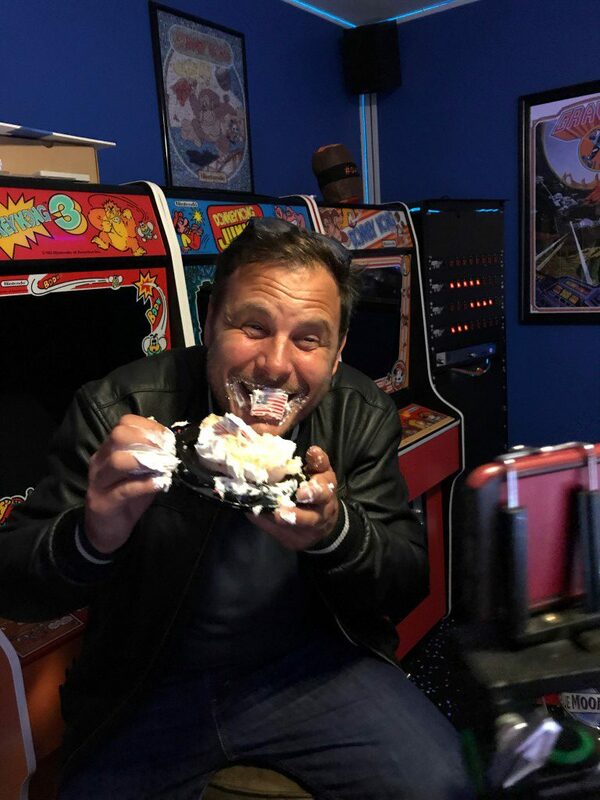 Alex eating cake! 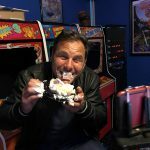 His gums hurt for an hour after he tried to eat the flag! 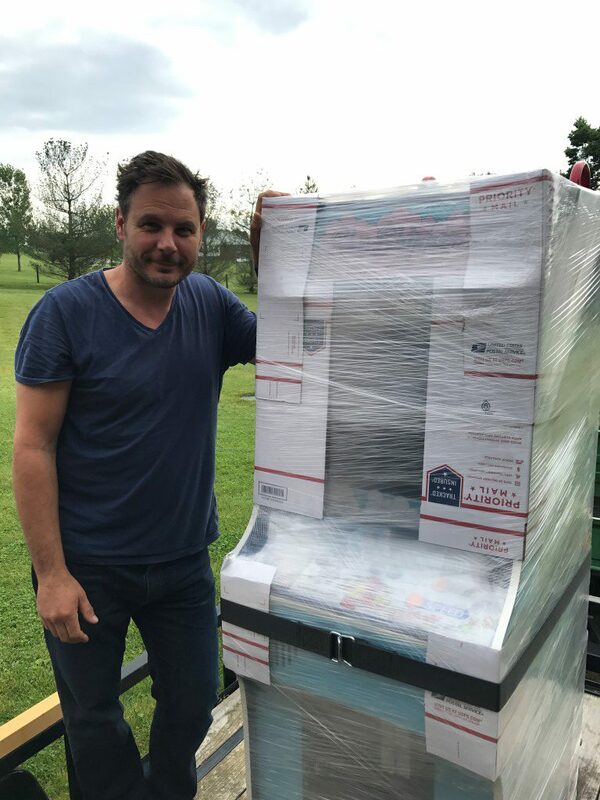 Alex is ready to move the cabinet to the garage to load it in the Yukon. 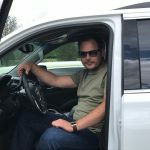 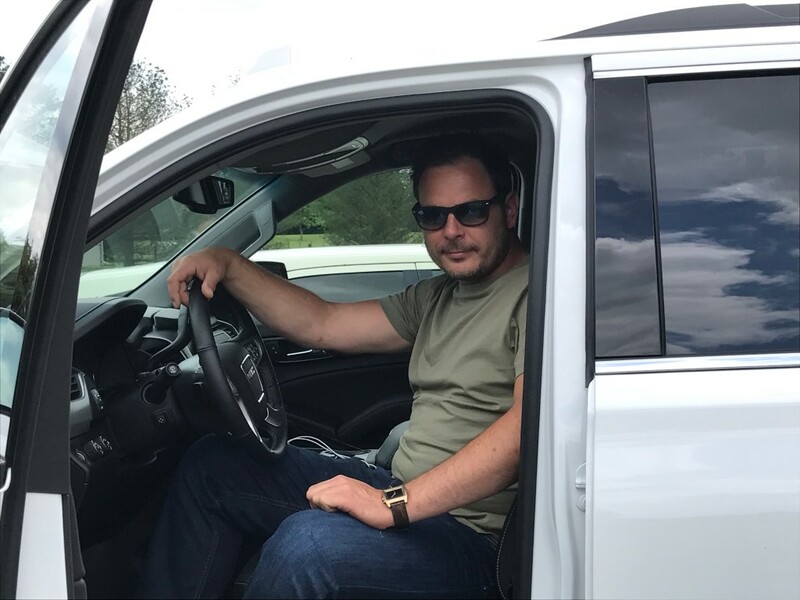 Alex says our vehicles are so small compared to what he’s used to driving…. 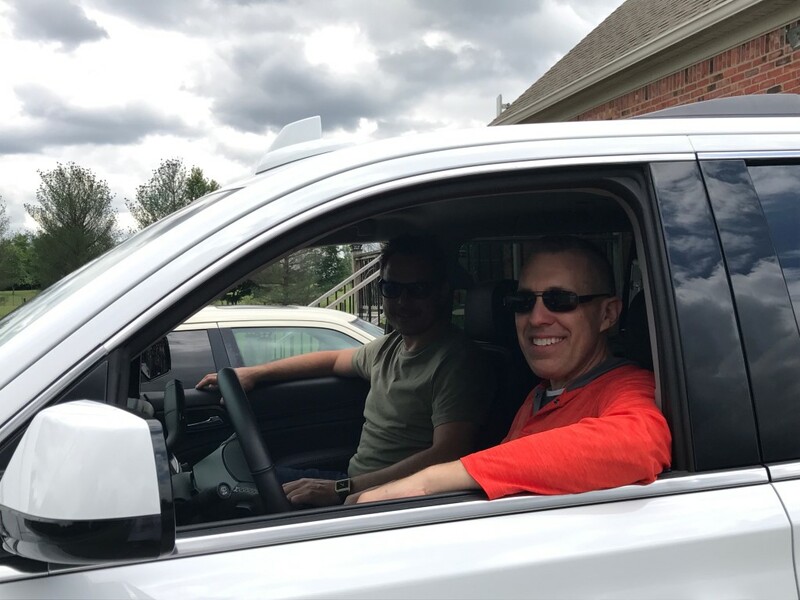 Here we go…ready to roll. 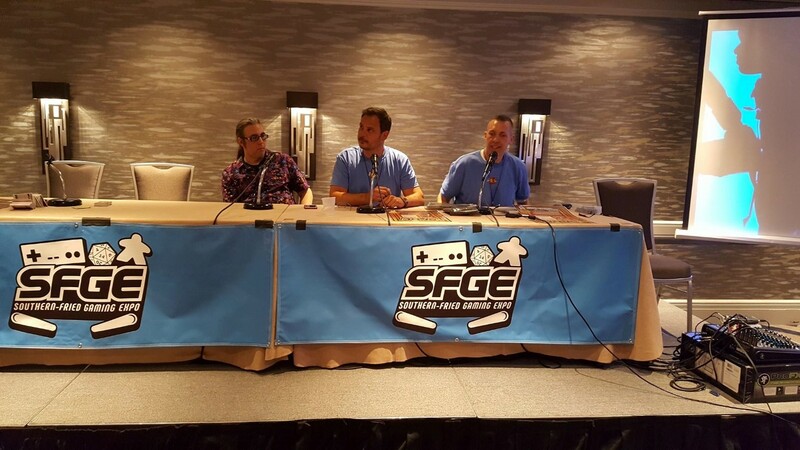 Months and months of work leads up to this. 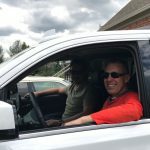 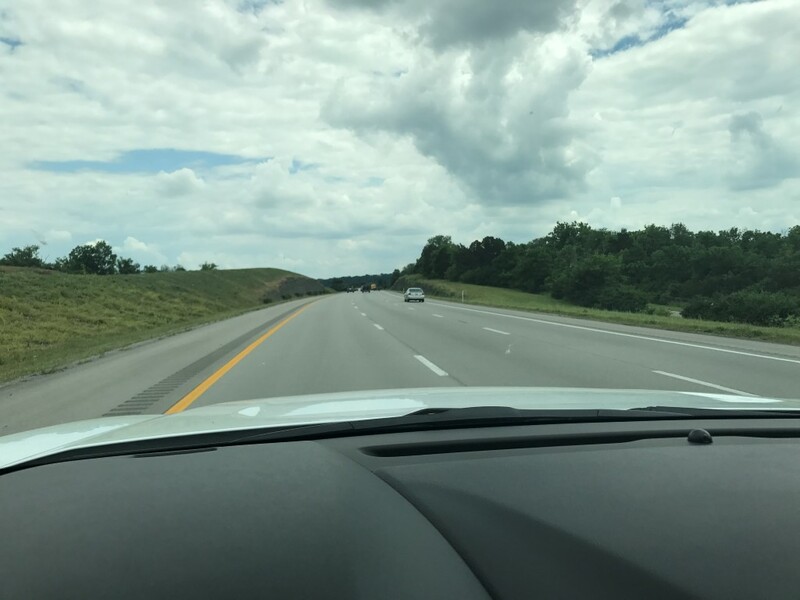 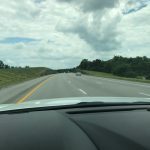 On the road to Atlanta – somewhere around Berea, KY…. 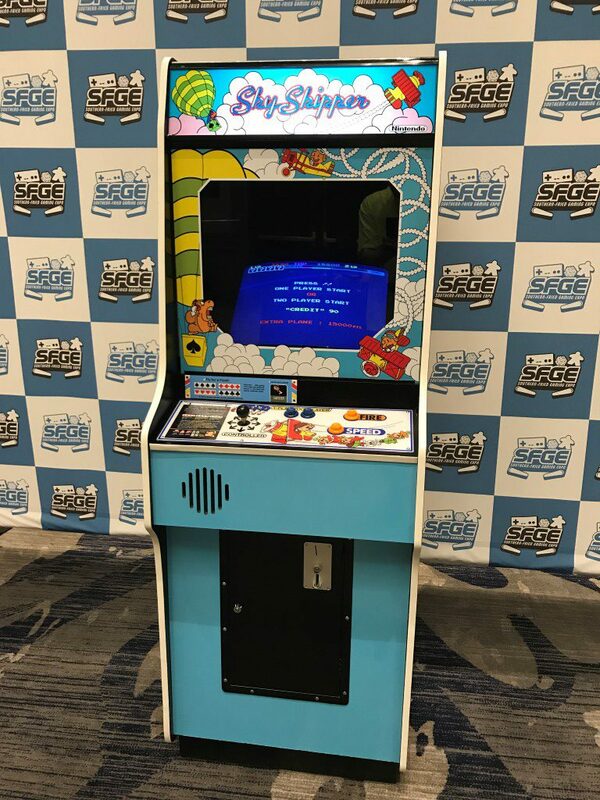 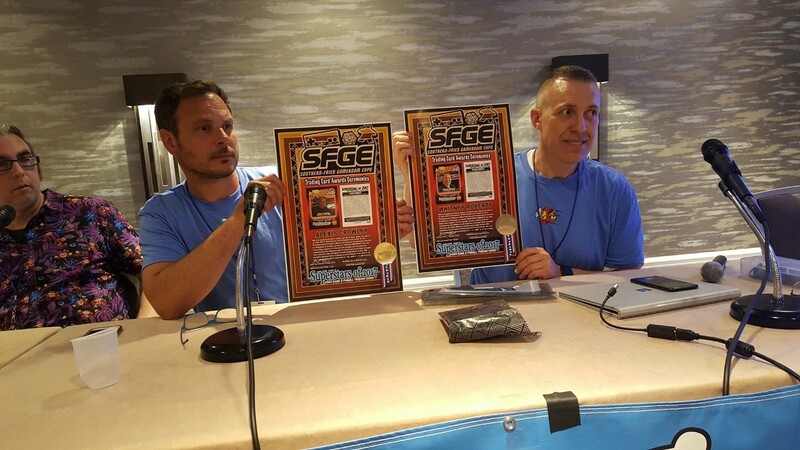 On the ground at SFGE. 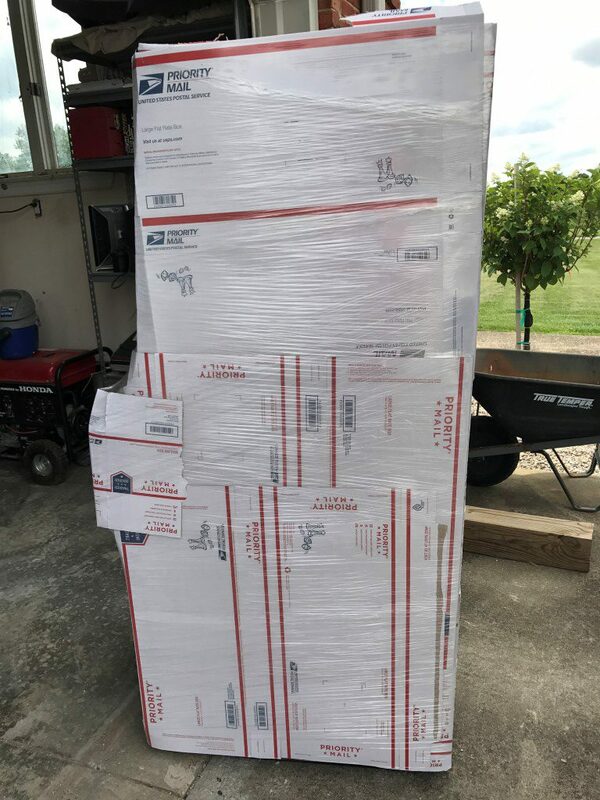 We cut off the stretch wrap, inspected our goods and then covered it back up. 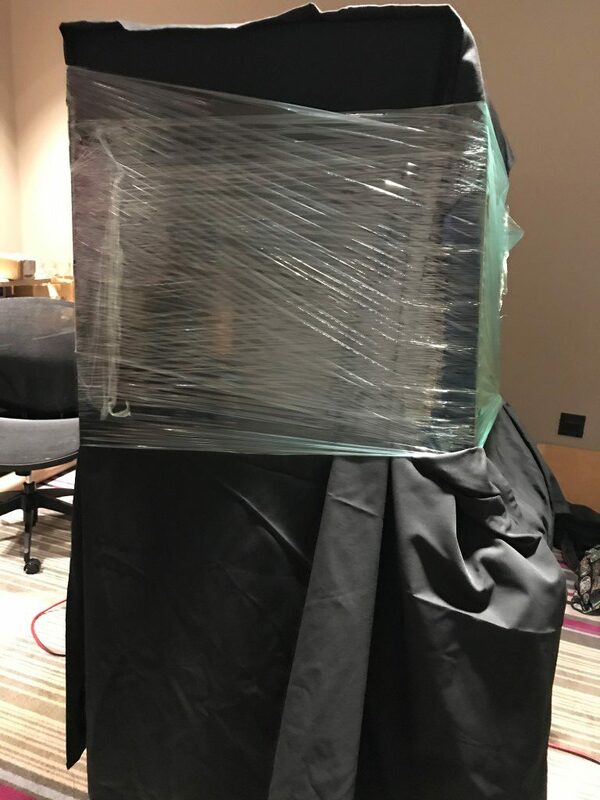 All wrapped up and only one place to go. 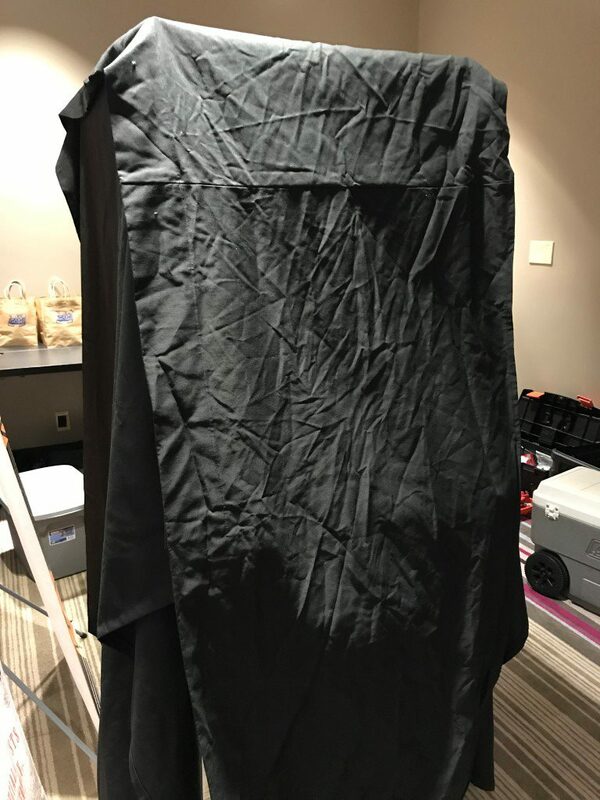 Stretch wrap helps to keep honest people honest! 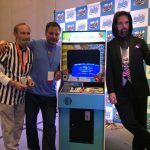 Alex, John Jacobson and Whitney after filming segment 1 of John’s Sky Skipper video. 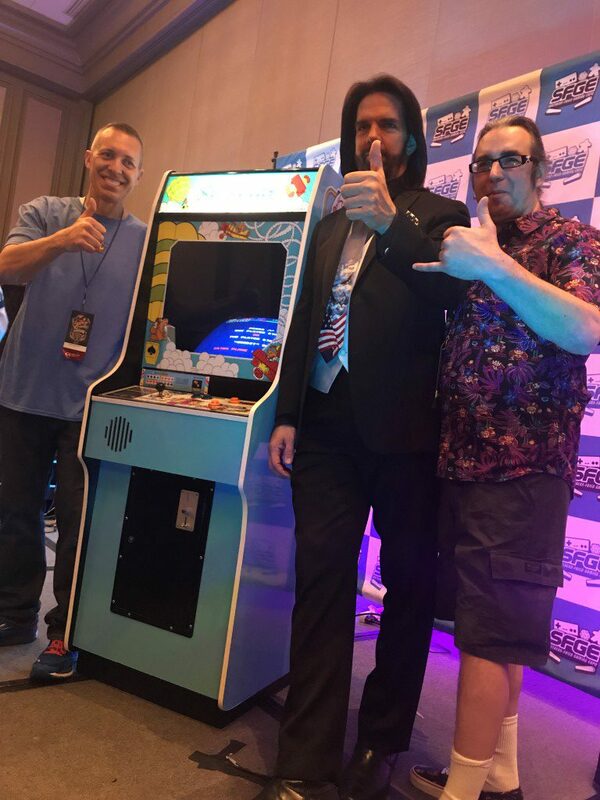 Gift from Billy Mitchell. 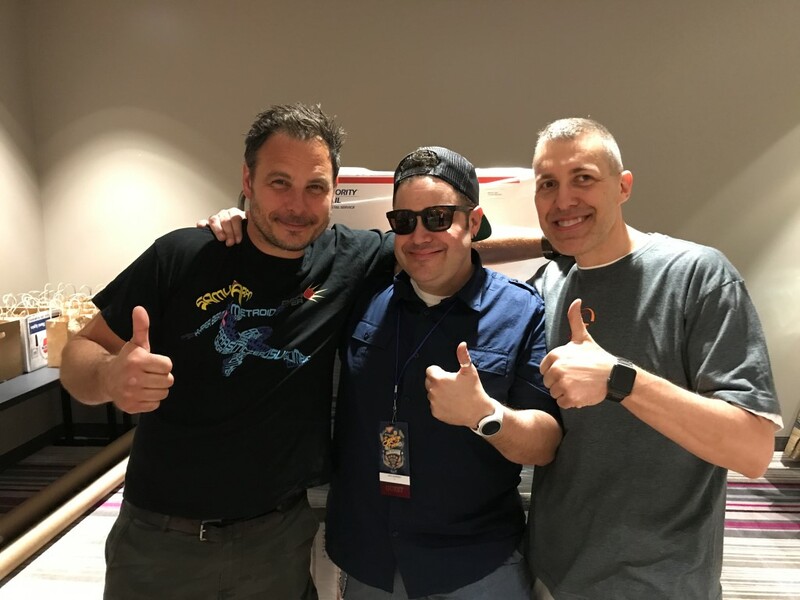 Pretty sweet (err…hot)! 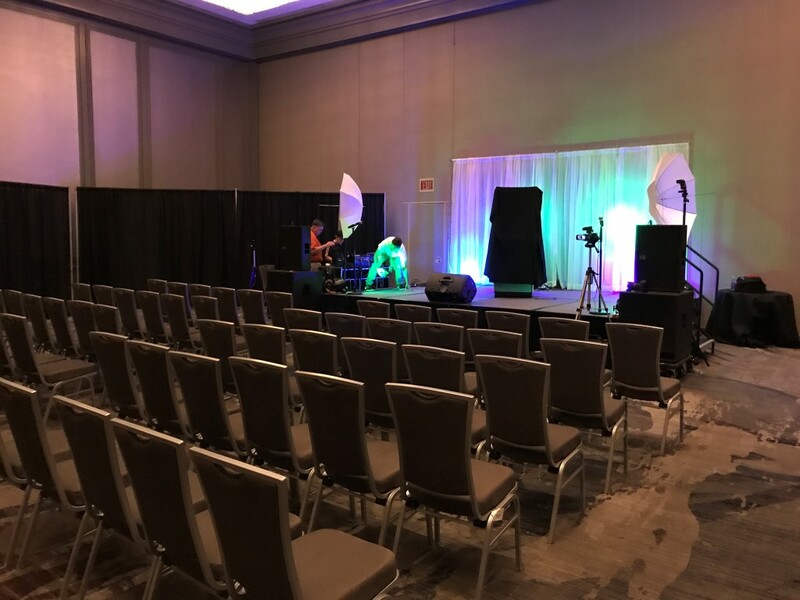 Setting up the chairs and the lights. 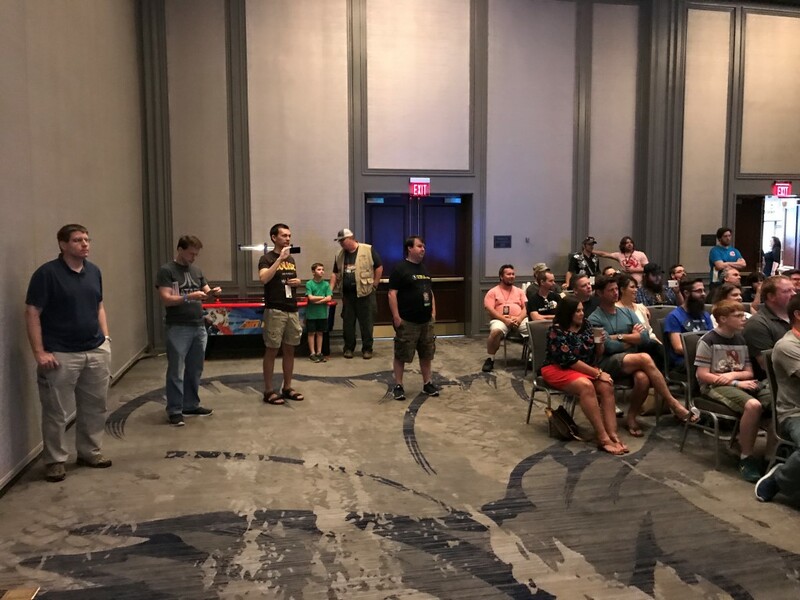 All the seats were taken, so some folks had to stand! 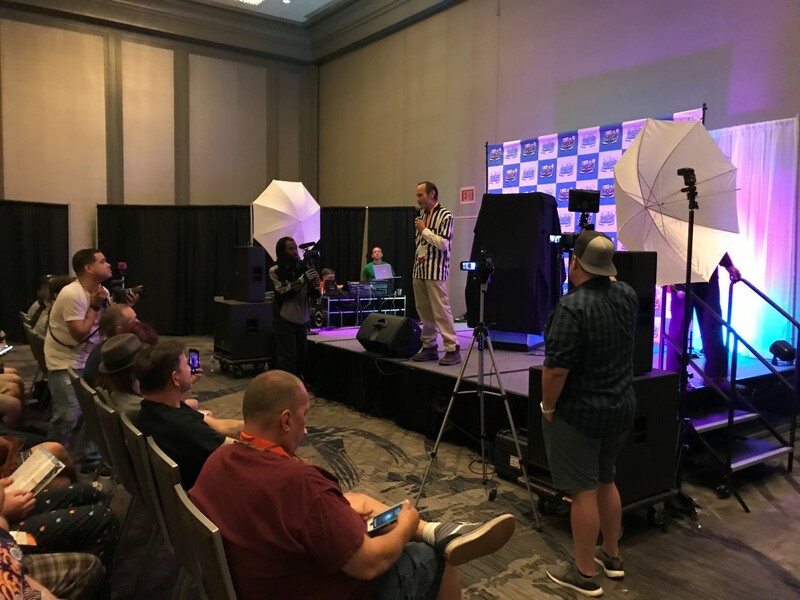 Walter kicking off the event! 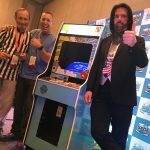 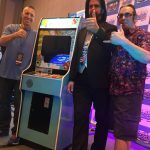 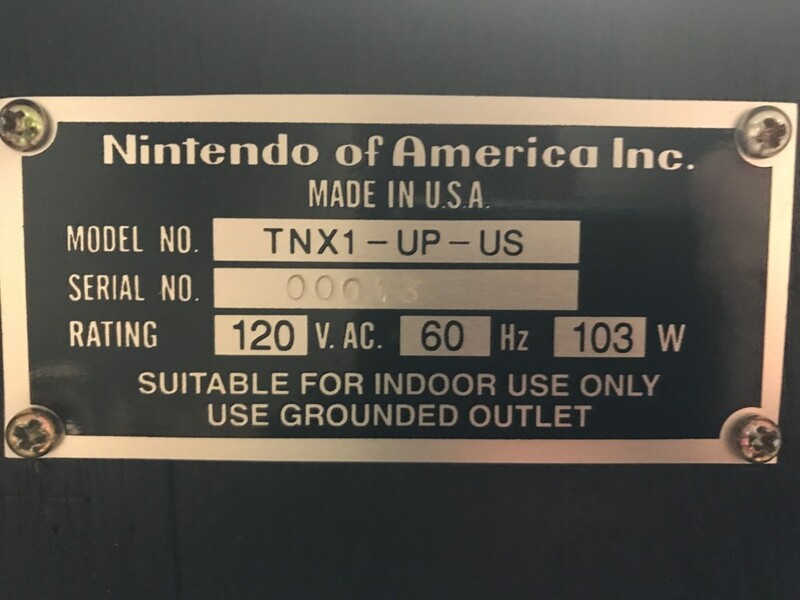 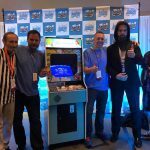 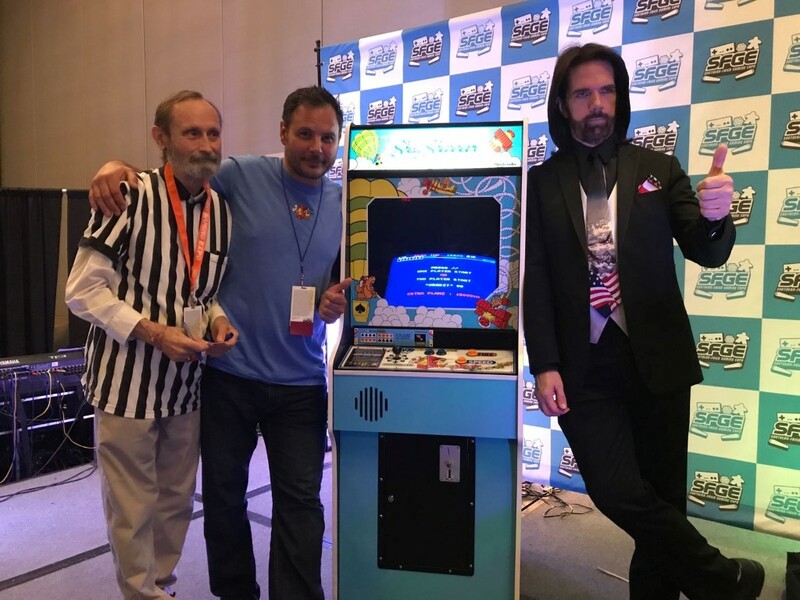 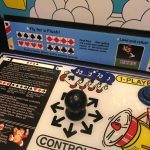 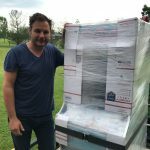 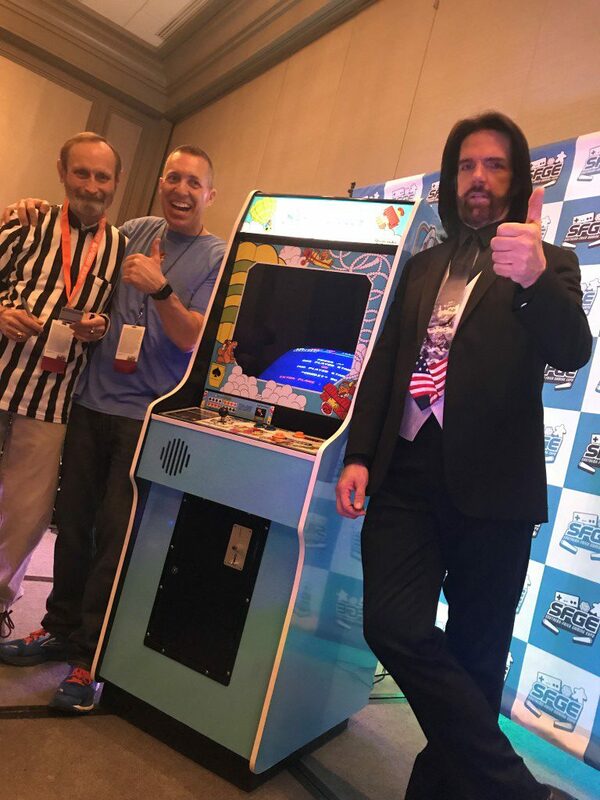 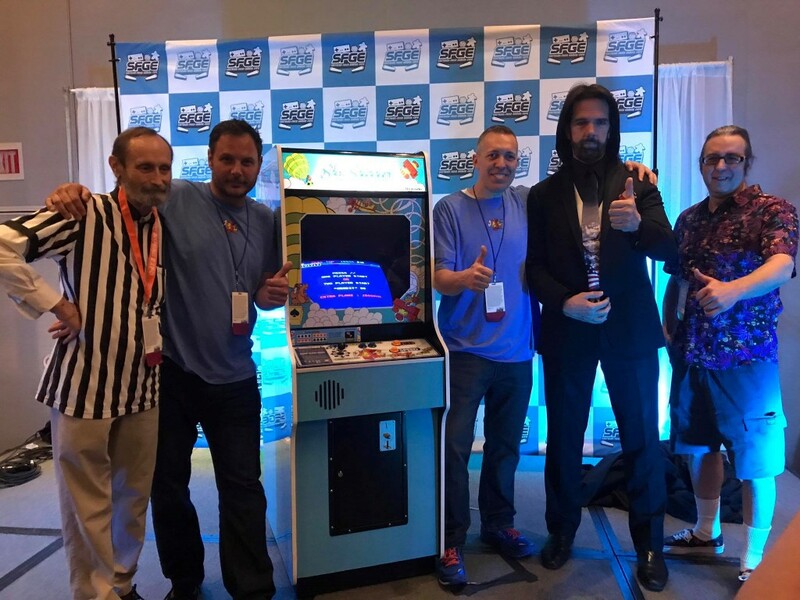 Walter Day, Alex, Whitney, Billy Mitchell & Rich Lint – approval (and relief) all around! 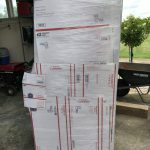 Finally out on the floor! 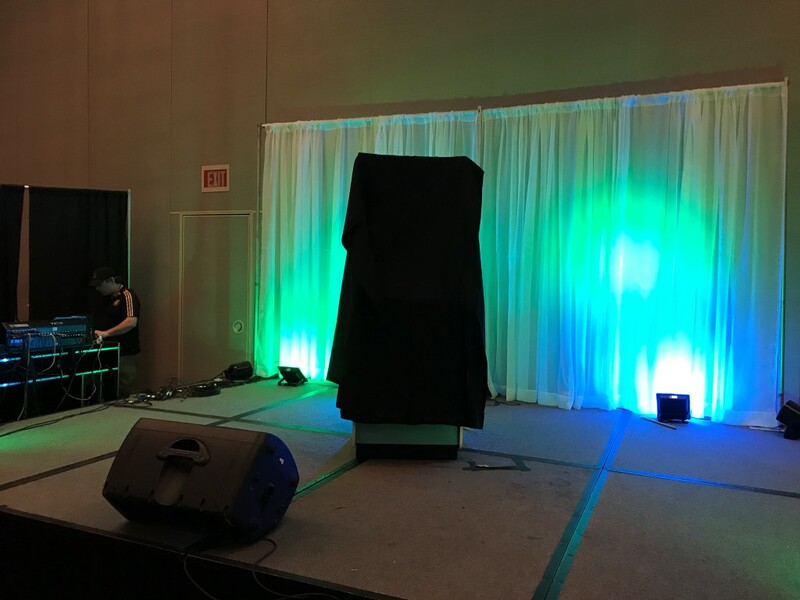 Banner setup and getting ready to power it back up. 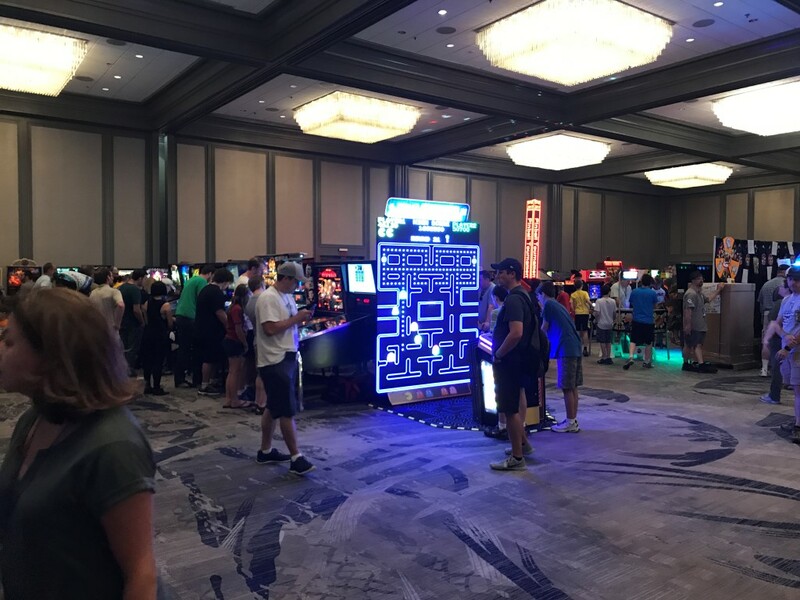 We were located right across the floor from the world’s biggest Pac-Man! 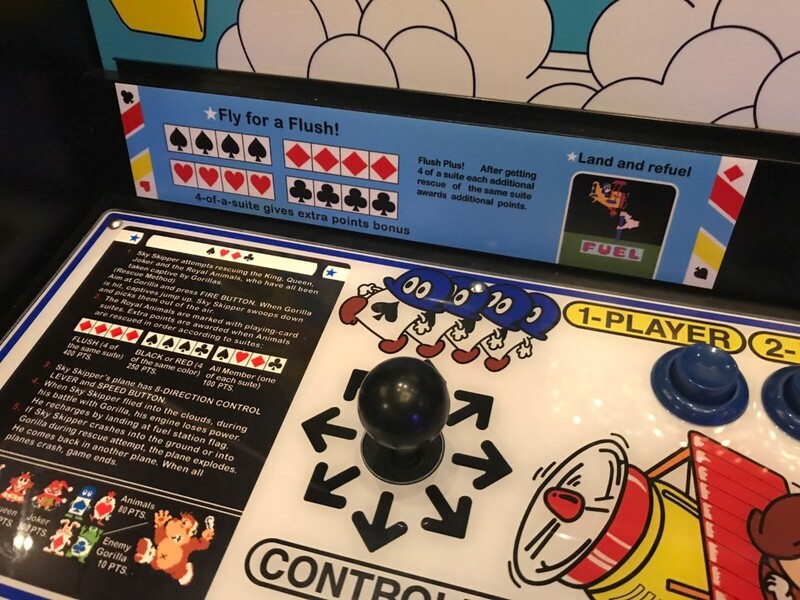 Instruction card and bezel sticker. 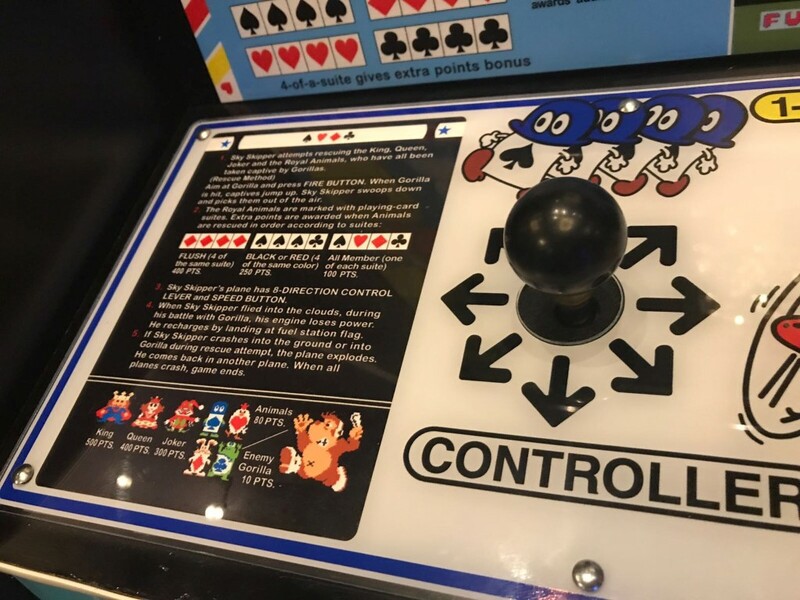 Control Panel updates and color corrections! 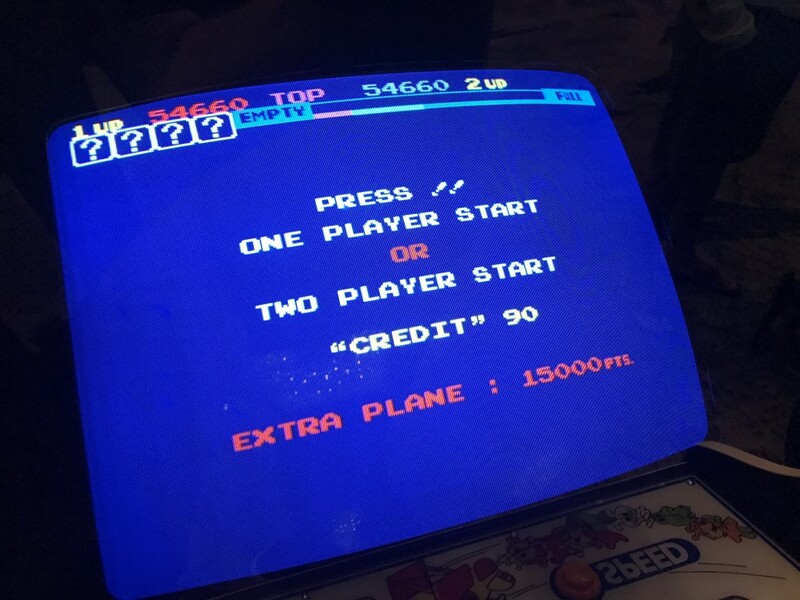 We didn’t pay them – we promise. 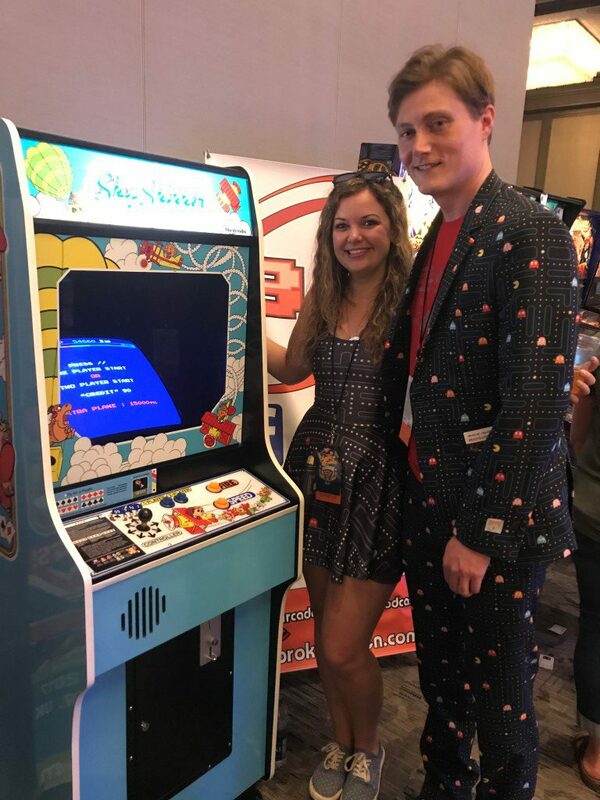 But we were glad they stopped by! 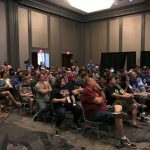 A full house ready to go! 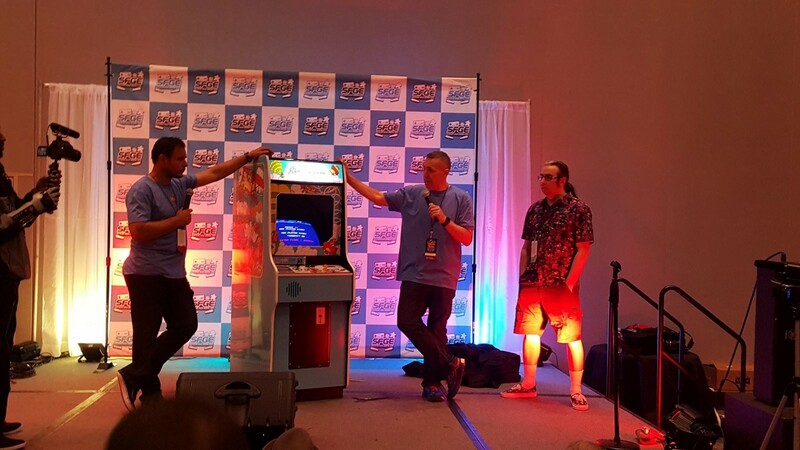 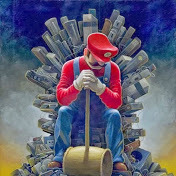 Walter discussing the game’s relevance to arcade history. 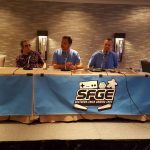 Rich Lint, Alex and Whitney discussing the project. 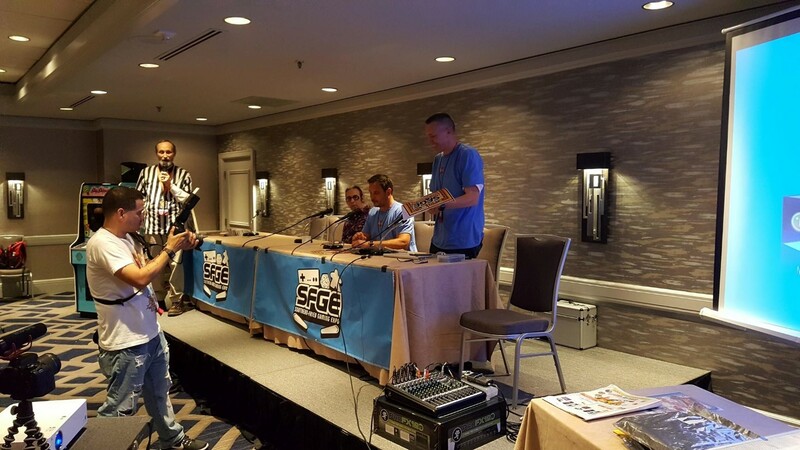 SFGE photographer Juan Jusino capturing the moment! 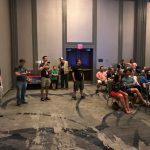 Walter presenting Alex and Whitney with awards for the project! 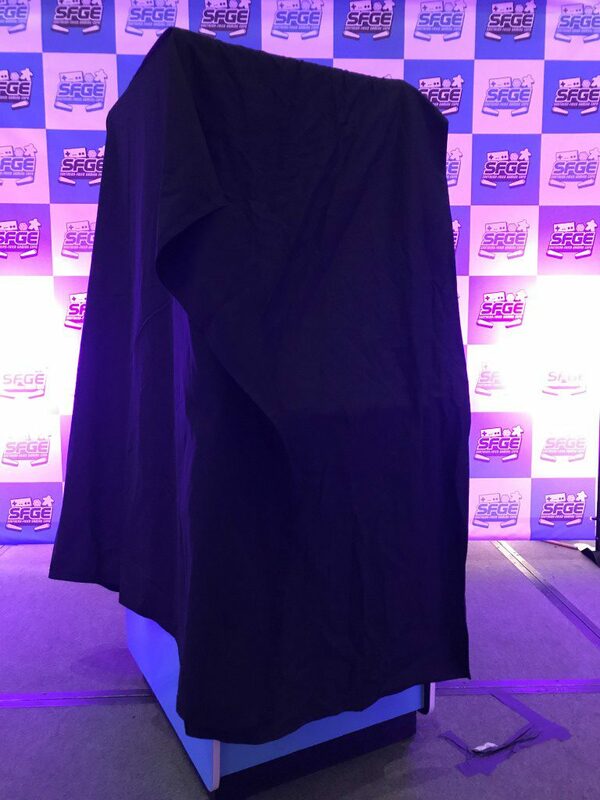 Several videos of the reveal event and the project background have been published on YouTube and various other places around the net. 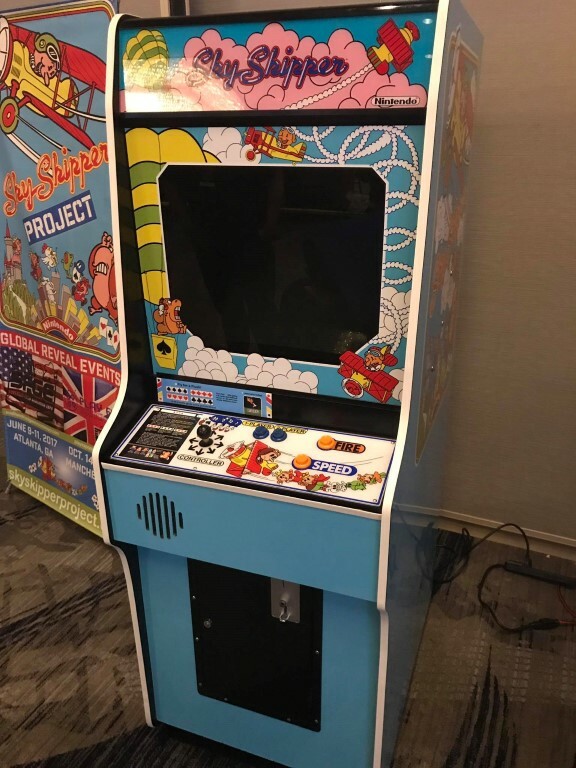 Here’s the best of what we’ve found so far. 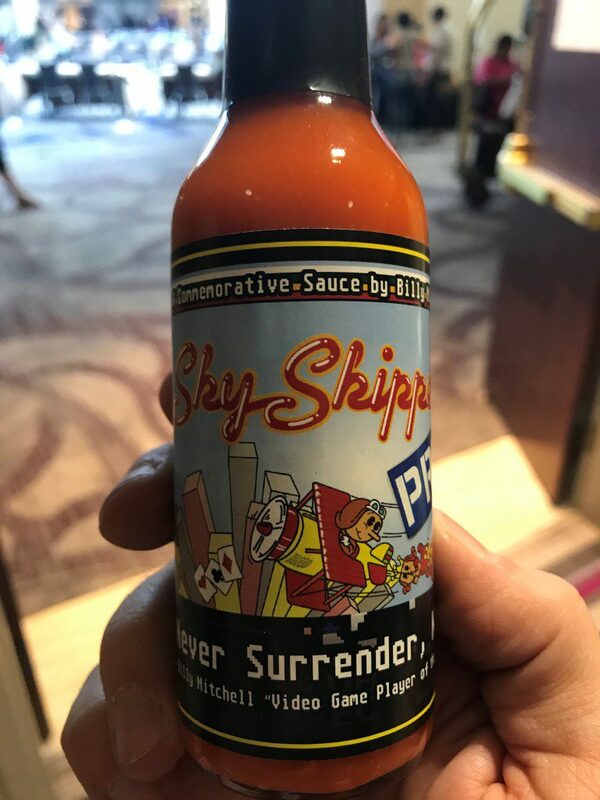 If you know of others, please contact us here on the website and we will include them below after we’ve had a chance to review!